" An ideal tracking and monitoring for the sales processes of our company." We are firmly with Freshsales, a software that has helped us to effectively track our sales processes, it is good software because it analyzes and constantly monitors our potential customers, is quick to perform its operations and functions, we can send emails and that makes it more attractive for us, making telephone conversations is a great thing, it shows us the advantages of identifying opportunities, it has good reports and analyzes of our clients, it is a potential software, that we can recommend with our eyes closed. The weaknesses are few, exporting information is something that does not allow us to do, its interface lacks more work to make it attractive, nice for administrators, it does not allow me to modify the work systems of our company. Easy to say that it can be an option for any company for tracking and tracing of business journeys, our sales are safe with Freshsales, and this can be an appropriate option to improve your efforts. Positively it is a software that has contributed to our development, it is act and functional, it is opportune for the business processes, it is practical, and it is left to manage, it solves what we need, suitable for these types of tasks. "Freshsales is synonymous with success in sales"
We liked freshsales the system of tasks (tasks) with which it is extremely easy to organize the work in phases, or cycles to complete. We really like that freshsales allows the user to integrate emails to the integrated CRM tool that it brings. In addition, a great plus is that it allows you to make phone calls (it has an extensive multi-channel communication system). We do not like that it is so limiting when it comes to the accessibility permits of each collaborator that we add to the tasks. We do not like their ability to integrate into social networking platforms, nor their ability to integrate accounts. Another problem is that it does not offer a Dashboard in which the use of kanban boards can be implemented. This would make it easier to work. Freshsales is one of the best Customer Relationship management and sales softwares with which we have been able to work. It is recommended to all kinds of SMEs that want to better organize their work time and their client management. Fully recommended to growing sales teams. The freshsales platform has given us many advantages regarding our possibilities to communicate with customers. Now our relations with customers are better distributed. Before we had problems with tracking our business processes, but this has been resolved with the use of freshsales. Its simplicity has made it easier to work.
" One step to make our sales with Freshsales"
We highlight the good representation of Freshsales software, it has contributed in our sales processes, project opportunities, tracking of customer journeys, identification of potential customers, this software has organized every step in order to make our sales, it is gratifying product because it is easy to use, practical, simple to operate, its support is fast and instantly. Their weaknesses may be the high rates to acquire this software, they must lower their prices a little, their graphics or interface are simple, they have to improve them more thoroughly, to add more features and publish instructional videos that serve as support to help Know how to handle this product. If you are looking to streamline the sales area of ​​your company, do not hesitate to look for Freshsales, it is a software, very practical, complete to organize your sales and your projects in an immediate way and without so many complications. It can be said that it has been a great opportunity to have this software, it has allowed us to strengthen our relationships in a short time, it has organized and structured our sales, it is a good software, a good tool. "Monitors projects with freshsales very effectively"
Freshsales has incurred many advantages for our company, we can immediately track any sales project within our company, its follow-ups have been the primary guide for the search of contacts or potential customers, its reports are good and it reflects us quickly what we have pending, sending emails is easy, its management is effective and timely, no doubt this software is very good. If you want to implement user-friendly software, very intuitive to track and trace sales opportunities and potential customers, this software is the right one, very appropriate to do all these types of processes for a company. It has been very helpful and support to have this software, it monitors the projects to be followed very effectively, by means of its simple functions it allows us to manipulate it in an easy way.
" freshsales an immediate solution for the follow-up of our tasks." We have introduced Freshsales to our company in order to advance in the matter of the organization of our clients and projects, we feel comfortable with this software because it has allowed us to timely monitor the progress of our sales or business, apart from being a good component because through this software we have established a high progress of our efforts within the company, it is very optimal operation of this tool, it has good functions, it is a light software and offers a safe environment. It should be noted that there are few insolvencies that this software has, they must improve its interface, which is more practical and pleasant to the user, it also lacks more features to be complete and the company feels more supported with this software. We loved the fact that it could take the monitoring and monitoring in an effective, easy and safe way, the interaction between client and administrator is something great to finalize some pending projects of the company.
" Freshsales, monitoring and management immediately." It is very important to have Freshsales as it directs and tracks the journeys of our clients, carrying out follow-ups and managing future businessmen, it can allow making calls and sending emails to potential customers, it makes reports and detailed analysis of our customers, can be supported by email, is suitable to optimize our sales and streamline work processes. We love the way that it is an almost complete software, economic for its acquisition, practical to manipulate it, very good in terms of handling information of our clients, it has helped to reach our objectives and goals, we entrust it to any company that wants to acquire it . It is just good, it saves us time and money in every process that is done, it carries out an effective follow-up, it traces the clients in a timely manner, it is not so difficult to handle or manipulate, it has good characteristics according to what is required. "Freshsales is ideal for sales management"
Freshsales we like many things. First, we like how excellent it is for the application of systematized evaluations to each client of the business. Second, it is excellent for the application of marketing campaigns, and for the management of internal sales. Now, freshsales allows us to make recordings of the calls we have with our clients. We dislike the fact that freshsales does not serve so much for the automation of the sales force, since it does not allow us to directly organize customer databases or generate proposals for the automation of sales. It does not allow to manage sales commissions, nor to carry out forecasting, that is, sales forecasts. Your sales management system in the field is very unwieldy. Its user interface is not very comfortable. First of all, we recommend using freshsales for the management of potential clients, and to follow up on the customer assistance services that may be offered. Freshsales is certainly highly recommended to handle sales funnels (also called pipelines). It is also advisable to carry out marketing campaigns by email. Thanks to freshsales we can follow customer support in the most organized way possible. It's pretty good for online customer management. At least, it offers a live chat tool with these, and allows us to carry out an adequate response control via email, with which we had problems before.
" Freshsales a quick way to monitor our sales." Freshsales has firmly changed our company in terms of our sales, it allows us to visualize our potential customers, who are available to make such a sale, we identify the opportunities, through follow-ups to our clients, this is achieved with a massive tracking of sales progress The supports can be done by email, manage customer service in an efficient way, you can chat with customers, receive calls, send emails, many things that makes it easier to project ourselves to be a better company through this important software that It's for us. As everything has weaknesses, one of them is its visualization, the interface is very basic, they must also improve their characteristics to deepen more the processes that are carried out to make a more timely sale. Something that caught our attention is that it does not allow the export of information. There are thousands of softwares that can have many functions, but this software has a lot of potential, nice to say that in a short time when we acquired it, it gave us more data and helped us to optimize our sales. "Freshsales is perfect for tracking customers"
We like very much the task system (tasks) of freshsales, since it allows us to organize our progress easily. We like the platform's ability to integrate into emails, and chats with customers, due to its integrated CRM. Something we also like about freshsales is that it has a wide capacity to make phone calls without having to access third-party software. We do not like that the number of collaborators for each task is so low. That makes it a little complicated to keep track of who participates or not in each stage of the project. We think that it is quite limiting with the accessibility permits to the information, and the importation of accounts takes a long time to process each account. Our sales team is very satisfied with the use of freshsales. It is highly recommended for mobile devices, especially with its excellent access from Android. We highly recommend the use of freshsales to handle responses to customers via email, and to record calls with good quality. Fully recommended to handle leads. With freshsales we have achieved many advantages when communicating with our customers, because it has many channels through which we can contact them. Before we had enough problems to make visual follow-ups to our sales processes. This was mainly due to the fact that the CRMs we used did not have good integrations for sales management.
" easy and safe our sales with freshsales"
It has been very helpful, it immediately tracks our relationship with our current customers, it is a good product that has streamlined our work, saving money and time. The synchronization of the activity helps us to keep track of the problems that our customers have had with our products.
" A reliable product for our sales and customers"
" Freshsales, an organization of our clients in a safe way." It has been very helpful because it has greatly improved our sales, allows us to save my time and resources automatically assigning leads, it is a software of high confidence, it is practical when manipulating it, it is very easy to use and helps us make sales and profitable for our company. "Freshsales is quite well focused on sales management"
What we liked the most until the moment of using freshsales is the ease with which we can manage our potential customers. It is excellent for managing client territories for banking, and for managing customer assistance follow-ups (when they are online, it should be noted). Offers excellent management of internal sales campaigns, and allows you to make call recordings. It does not allow us to manage marketing or resources for banking clients, and it does not offer a good segmentation system for potential clients. However, freshsales does not allow automatic markings on its CRM tool, nor does it allow the user to monitor the influence, or expenses and households. It is quite limited for the sales force automation, since it does not allow us to directly manage client databases, nor do we anticipate sales. Freshsales is a crm of the most recommended to perform sales management. We like how easy it is to segment contacts, and also manage sales funnels, so we recommend it a lot for this. It is also excellent for storing important documents, and its tool is recommended to be comfortably communicated with other team members. With freshsales we have had many benefits, mainly because it allows us to better organize our marketing campaigns by email, and to carry out a correct sales administration in the field. It allows to manage performance metrics, which has been quite profitable. "Freshsales greatly increases our sales force"
Freshsales is an excellent and very attractive crm due to the fact that it allows us to analyze the attention that is given to the client, and because it allows us to manage the internal sales system. It is very good to manage marketing campaigns, and to review the performance metrics of each client online. Your email marketing application is very good, just like your live chat tool. Something that has bothered us from the beginning with freshsales is how complicated it is to distribute to our potential clients, because their segmentation tool is a bit limiting, and you can not do a good follow-up of interactions. Your ability to import large databases from Microsoft excel is quite limited. It does not allow tracking expenses and influences of customers for banking. We highly recommend using freshsales when dealing with sales funnels, since this management is very fast and organized. We highly recommend its use to keep us properly communicated with each client, and to conduct marketing campaigns by email. It is excellent for analyzing customer service. Thanks to freshsales our sales automation campaigns are more successful than ever. It has been excellent for marketing by email, and for sales management in the field. It has also been very good to keep a good control of answers by email. "Freshsales will improve your sales intelligence"
The freshsales task execution system is excellent, very easy to manage. We like that it allows to make telephone calls without having to go to external services. Freshsales allows adding collaborators to the list of tasks, so that the work is more fluid. A point that we like a lot about freshsales is that it allows adding collaborators to the task lists, which makes management more fluid. It is quite deficient in terms of importing accounts and contact databases from excel. It does not allow us to properly track the status of each business, and your android application is quite slow, especially when it comes to synchronize. Regarding the permissions that the administrator can grant to the collaborators, these are a bit limiting with the content customization. We highly recommend using freshsales for their good and varied communication channels, which summarize the traditional interactions (email, chat and phone calls) in a single platform. It is excellent for concise management of potential customers, and for getting a good import of customer accounts. We had a lot of problems looking for a service that offered a quality CRM, which would allow us to correctly guide the sales force. Thanks to freshsales we can better define our potential customers, and we can communicate more easily with our customers. Thanks to freshsales we can better define our potential customers, and know which ones are best for us. "Freshsales has greatly increased our sales force"
It is very good to carry customer databases in a massive way, and to carry out marketing automation campaigns by email. Your sales training meeting management is excellent and easy to carry, so it lends a lot for this. Your system of goals and quotas is excellent. Something that we liked from the beginning of freshsales is how comfortable it is to manage contacts. We are disgusted with how complicated it can be to use freshsales on mobile devices, as it is not well optimized for this. We do not like not being able to do ERP, and that material needs planning (MRP) is so slow that it takes a lot of time away from work. Your e-mail integration is a bit slow. Fully recommended to handle manufacturing processes. This is because it allows to review and manage the quality and safety of the products in a detailed and organized manner. It is good for managing clients online, because it allows categorizing them, and tracking them as organized as possible. There have been no problems of any kind that we had to solve using freshsales, but the truth is that it has benefited us a lot by allowing us to analyze our customer service, and to be able to track the performance metrics of each employee. Freshsales has also shown us great benefits by allowing us to make phone calls without using external platforms. "Freshsales: sales optimization for your website"
Freshsales helps a lot in the development of databases for product marketing. Your CRM system includes not only organization for databases, but also calls and instant messaging. In addition, it is excellent for tracking sales automation. Its multi-user management is very superficial, so the collaborators can only collaborate with some very specific tasks, without significant contributions. It maintains a static structure, does not offer personalization options so the format tends to be exhausting. Freshsales provides the user with the ability to define a more detailed profile for their consumers. Through its tools you can position or increase sales. It also facilitates interaction with the user's audience by implementing CRM tools that fit the preferences. It has a very comfortable UI which makes it easy to work with it. In addition, its communication tools have excellent optimization in any type of device. Freshsales can also be used for email marketing through newslettering. "Freshsales is an excellent CRM for sales teams"
We love how easy it is to use freshsales. This "sensitive CRM" offers a good combination of traditional communication methods (email, chat and phone calls) so that the communicative experience with the client is as wide as possible, without the need for external programs. Its configuration of permissions for collaborators is very limiting, because it does not allow to give them much freedom. It is not good for importing databases from external services (nor for exporting them). Your customer segmentation system is slow and does not offer enough information. Freshsales will be useful to both small and medium businesses, thanks to its extensive customer management. It is highly recommended to manage leads, and to review your activity on the web. Thanks to Freshsales you will be able to get much more out of the visualization of your business in process. We recommend it. Thanks to freshsales our customer management is much simpler and more coordinated (when it comes to group collaborations). Before we could not do correct visual tracking of all business processes, but luckily with the use of freshsales this is no longer a problem. "Freshsales is the application that every sales team needs"
"A positive impact with Freshsales to make our sales fast"
It is very nice to let you know that Freshsales has been very helpful since it allows us to optimally make sales, negotiations and interactions between customers and our company, it has been very useful because through it we have updated with the organization of This company, its characteristics are good, very light and that makes it fast when you drive. We recommend it because through it, it allows us to make our sales in an optimal, fast and safe way.
" With Good Characteristics Freshsales is your best option for sales"
It is very reliable to have Freshsales because it optimally performs our sales, it helps us to fill our processes with great precision and that makes us very happy because through this software we have advanced and we reflect a correct projection, our negotiations are precise where we facilitates a secure sale. There are few things that we dislike this software, one of things that should improve is its interface to make it more pleasant for the administrator, we have analyzed this product and lacks many functions and features and should choose to improve each day more, to that is more attractive to acquire it, they must find a way to download the plans so that it is more feasible to acquire it. There are many things that are contributing this software so that we can progress as a company, one of them the quick way to make sales, its functions make us optimize each process of our company. "High reliability of Freshsales for our sales processes"
We see many flaws in their characteristics, the interface should improve it, your reports should add more information to be more complete, it does not allow us to configure the alarms to our accommodation. They should do an update or add more functions to make the service optimal.
" Easy to use to optimize your company"
Through this product or this software, we have improved sales in a timely manner since this software optimizes the processes of our company through its functions. It is of the utmost importance, since through the monitoring of our contacts, it has determined to identify potential customers and offers from our customers. "Freshsales is the perfect solution to help our customers and manage all our relationships"
is resolving the optimization of sales by this means, streamlines processes since it has search filters, very timely way the database of our contacts. It is very broad with the membership since with only one I can include ten of my employees and clients and it is something that very little systems have included. "Very rewarding to have Freshsales for our fast and safe sales"
there are very few shortcomings or weaknesses that this software has, one of those weaknesses is that its reports are incomplete, they must be improved, the interface is very basic, it does not allow us to export information. he practically helped us a lot because it allows us to organize our sales and thus allow us to have a better control of the pending activities. "Easy to Use Sales CRM with great features"
Freshsales has reliable and no nonsense platform to use. Pipeline and direct call log feature is great to operate on the go from a smartphone. Also email forward feature is better than other CRMs I have used for Sales Management. Best Free and Low Cost all feature CRM with tons of simple possibilities. The only CRM i could compare and say that it is better in few aspects than Freshsale, is Prosperworks. Prosperworks is pretty simple and straight forward for businesses like us using G Suite. Another feature that I did not like on fresh sales is the amount of manual data entry we have to do to get into a considerable Lead and Prospect entry process. Please integrate lead capturing like in Prosperworks. Also, the Smartphone app design needs to learn to be more simplistic and easy to use. It is much better than others but can be better, I loved the same for Prosperworks. It has been almost 4+ months of using Freshsales. Lead management for our business has increased 3 fold in efficiency. "Good for Starters, but lacks detailed reporting that is required"
One of the best things about Freshsales is its deals page, this gives us a birds-eye view of the entire sales pipeline for the month. And for salespeople it became easier to prioritize and segregate deals based on their usecase and probability of closure. Another thing we liked was the ability to autoasign / distribute leads to all the sales people available. That saved a lot of development time which we would have wasted. The integration with Freshcall made it possible to track all sales calls , which was essential for us since our entire team is inside sales and conversation over a call needs to have certain quality standards. The integration allowed us to associate each call to a deal/contact based on their phone number. Which made it easier for our quality to check the same. Report quite simply is stupid, I can download excel sheets and some graphs but most of doesn't give me any insights. We have been using Freshsales for sales and lead tracking, especially for our inside sales team. Another thing we wanted was detailed analysis and reporting which Freshsales lacks. It seems like the developers are receptive to updates and changes. We've identified some shortcomings and they've accommodated our requests most of the time. A good example was the lacking formatting tools for creating emails or email templates. Might have already been in the pipeline, but shortly after asking them about it, they had a greatly improved tool in place. Seems like we're helping to develop the software. To be fair, my purview is more with the email and email template side, although I have seen how the CRM works. I have worked with our internal integration expert, and he has been able to make connections between FreshSales and other tools, but it's not always easy. Empowering our new sales team with a fresh CRM, running call campaigns, filtering in leads from disparate sources, and sending occasional email campaigns. "Getting closer to our customers"
The ability to save all the customers information, including calls, messages, address, websites. Creating tasks really helps a lot when you have plenty assignments a day. The link between Freshsales and Helpdesk is really helpful when connecting both platforms. This platform is really intuitive and easy to learn how to use, even if you learn all by yourself you will not have any problem. The platform is kind of heavy and makes the webpage slow most of the time. Sometimes you don't get to see a contact full information. You should prepare some kind of presentation for us users to find things easier, some of us are a little new to these kinds of platforms. Use the trial, but you will love this platform, for real. Having the more information possible in one place. "I've using it for a year"
The best thing is to keep track of all the activities you made with your customer. It helps us a lot when trying to reach all the goals our boss propose us. Also, it helps us know how to close a deal. It has a lot of information on it, it has easy to read tutorials on the data base. It is hard to work with it when the Internet connection start decreasing. Meaning that you need to have the best internet connection ever. Sometimes it gets crazy when trying to get the data base. Also, we cannot export the .CSV information from the data feed sheet we have. That is something hard to use. They have to take time to read all the data they provide. It has a lot of tutorials in them. "a good alternative to manage our customers"
is giving us a wide assistance to streamline our processes through its characteristics that are of utmost importance for our company, it is easy to use and saves us time. "Excelente herramienta de gestión comercial y clientes"
Excelentes herramientas para la gestión de prospectos y leads, particularmente las funcionalidades de centralización de comunicación con los clientes y el avance automático en el pipeline del cliente ayudan en gran medida a organizar el flujo comercial de cualquier compañía. Las características de personalización según el negocio que lo desee utilizar permite que se adapte fácilmente a cualquier lógica de negocio o flujo que exista. Posiblemente la única funcionalidad que no me gustó es el hecho que al vincular una cuenta de correo se realiza un escaneo automático de dicho correo lo que genera una serie de conversaciones que posiblemente no estén relacionadas con el flujo comercial. Recomiendo evaluar las caracteristicas de la plataforma, particularmente evaluar el módulo de personalización ya que aunque las funcionalidades que se encuentran en la versión base son super buenas, si efectivamente se utiliza un poco de tiempo en la personalización se logra llegar a un grado adicional de satisfacción. Mejora del proceso de comunicación con nuestros clientes, gestión de prospectos, leads y seguimiento particularmente la gestión de estos solía ser realizada por cada asesor de ventas, sin embargo esto hace que la atención de dichos clientes se descentralice y sea difícil de organizar, validar y controlar, al utilizar fresh sales se logra que todo el equipo comercial esté alineado en una misma dirección lo que finalmente permite una gestión centralizada y que en todo momento se conozca el estado de nuestros clientes. "An upgrade with simplicity, not bloat." Starting my new position, one of my questions for my interviewers was "What is your CRM solution?" I got a grin in return, and then they told me about Freshsales, which I had never heard of before. With a support-heavy, and sales-heavy background with many companies over the last 15 years, I've seen a LOT of CRM tools, all the way up to the big bad Salesforce. While Salesforce can do an awful lot, the train-up time for that beast is ridiculous, and there's more 'work-arounds' than actual 'working' much of the time. I sat down with Freshsales with no documentation or training, purely for the purpose of figuring out what I was in for. One day later, I've not only got a workable solution for how to work through my predecessor's backlog, and it's sorted, with customization options already spinning in my head to try. One week later, simply clicking through the options make it clear how to do something, without even needing extensive manual reading, even though they're there for me. The only real dislike that I have is that I was unprepared for having something so intuitive in design. I had a hard time adjusting to things being simple, and keep finding answers right in front of my face when I'm used to slogging through submenus and options to find a path to what I'm looking for. If you can get away from SalesForce to this, you're going to be really happy with the simplicity involved. I took over a position that had been neglected for months, resulting in a backlog of leads, contacts, and interest in our product. With 0 training on Freshsales, I quickly found multiple ways to sort, contact, and track things the way that would work for ME, and I've realized that this is going to make training someone else 100x easier because it works with MY workflow, not the other way around! "Know your Sales & your Customers - Inside Out"
It seems to have improved rapidly. You will find that it has a mix of every Sales CRM out there in one. Anything relevant to a contact can be found on the detailed page. Your interactions with other people not in your contact list automatically get added to the leads. Each organisation is well represented as an account for a sales person to continue reselling and maintaining relationship with the people connected to that account. Contact sync is missing. We need to rely on Zapier to sync with Google. The price starts to look expensive when you go higher up on the plans. IOS app is still not formatted for iphone X and lacks the polished look. If you don't get overwhelmed with too much information at once, then Freshbooks will be your final choice. What I didnt understand is why they don't sync past email when they adopt 2 way sync in general. The feature that auto searches social handles based on the email id of the contact was very useful. The IOS app still lacks the feature rich UI that web interface provides. Distinguishing between a lead and a contact while keeping an excellent record of both. Creating some automation based on the interaction with clients. "Responsive Customer Support and Great System"
We love the ease of customization and the way that the team at Freshsales is always available for a phone call with any tech issues. The pipeline flow is really clear, and the prompts to set a task for each deal keep us on the same page as a team and encourage us to move the deal forward. They continue to add more features, which has been great for us as we continue to get more functionality for the same price. I think the only challenge that we've faced is that we sometimes have redundant fields that show up on the display, and some glitches with the Quickbooks integration. We'd also love more of a colour cue when a deal is stalled in a certain stage. Some other things that we needed weren't built in (we sell products and services) but we were able to make a work arounds in the program so for the most part, it does everything that we need. 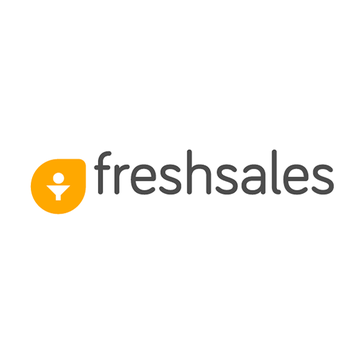 Freshsales has really helped us to improve our communication as a sales team and to track the emails and information that we send to the client. It's a great product for our small business, and it looks like it will be really strong for us as we scale. "Freshsales, the all-in-one CRM for prospecting and closing deals"
If you are willing to prospect, this is a must-have, all-in-one CRM with a really affordable plan and features. "Smooth and easy to use"
Kanban function with deals and being able to filter deals/customers or leads accordingly. The fact that companies/contacts/leads and separated but yet shows the relationships between all parties. Online Support for Fresh Sales is great as you can receive instant answers to any questions you may have. Having documentation linked to a deal or customer. Keeping admin aligned with customers. Having tasks, appointments and notes available immediately on a deal or contact. Having support tickets linked to a customer so you will always be prepared when visiting a customer. "The Go-To Tool for Sole Traders and SMB's"
Using Freshsales is an absolute breeze. It's super simple to set up and to navigate. Moreover, the pricing structure is very well suited to sole traders and smb's. To be honest, I cannot think of anything. Everything is just so fluid and natural when using the product. Do it! Especially if you are using the free offering of solutions like Hubspot, knowing you need to move from a free version to a paid version, but still want excellent value for money. As a small business and a sole trader, I need a solution to track my clients and potential clients. I've tried using other software products, notably HubSpot, but they just don't compare to Freshsales. Hubspot's interface is by comparison to Freshsales clunky to say the least. They also impose ridiculous limits on their free account offering, and their first tiered pricing level is way too excessive for a small trader like me. I can now track everything I need to run my web design company using Freshsales. I am able to send emails and track them right from the Freshsales interface, and even use templates to speed through day-to-day tasks. The lead-scoring feature also helps me see at a glance who are my hottest leads to follow up on. Finally, Freshsales also integrates perfectly with Freshdesk (Freshworks client ticketing solution) and Freshchat (their website chat system). I am able to see everything I need to in one, centralised location. If you're a sole trader or SMB, you really should check out this awesome product - I can't recommend it highly enough! ""Freshsales Ideal For Sales Management."" FreshSales is very simple to set-up and doesn't necessitate that you utilize a full-time CRM/Rev Ops worker to make refreshes and design the stage. The convenience and availability for all colleagues what sold us. The group likewise helped us fixed a few bugs with the Segment combination, which was significant for us so the majority of our information streams consequently. Freshsales coordinates and tracks the adventures of our customers, doing subsequent meet-ups and overseeing future organizations, it can enable making calls and sending messages to potential clients, it influences reports and itemized investigation of our clients, to can be bolstered by email, it's appropriate to improve our deals and streamline work forms. We feel that it is very constraining with the openness licenses to the data, and the importation of records sets aside a long effort to process each record. We exceptionally recommend utilizing Freshsales we've turned out to be progressively profitable, sorted out, and can write about our successes and measurements substantially more effectively to the remainder of the organization. Freshsales has streamlined our work exceptionally accommodating following our present clients from now on sparing us cash and time. The synchronization of the movement causes us to monitor the issues that our clients have had with our items. Our business mechanization campaigns are more fruitful than any other time in recent memory and consumer loyalty viably proficient with Freshsales. Gives me the opportunity to focus on my sales. Using it, I save my time and resources, automatically assigning potential customers. I can easily paint tasks and meetings, while receiving notifications via e-mail. I believe that these are powerful and useful tools that make your business successful. Sometimes it works slowly, I would like it to be a little faster. In addition, our customers are asking to establish integration with Facebook and social networks. And I also want to increase the comments section and the ability to customize the font. These small minuses can be fixed quite quickly in the next update. This tool will help your business and your clients to make transactions, and completely control this process, being at home, and on business trips, traveling, which is very convenient. And also monitor the performance of the tasks of your team. I have the ability to send bulk emails to potential customers, import and manage large lists, and customize data fields and work with email templates. I can also respond to client and prospective emails right inside the CRM. We have a very unique business and way of managing accounts and generating leads, FreshSales has helped us every step of the way build a CRM that best works for our company's needs. We have scheduled a number of calls with the support team at FreshSales who have been very polite, professional and helpful at answering all of our questions on data migration, updates, and even incorporated new feature requests. Overall, I'm very impressed with their product! There is nothing specifically about this platform that I do not like. Our company has had a number of challenges finding a CRM that best suited our needs, and of all the CRMs that we tested, FreshSales by far met more of our needs than any other platform. Utilize their support team, they're been super helpful and have made the transition a seamless process. FreshSales has helped our company manage incoming leads, track prospective accounts, and measure conversion rates in a streamlined and simple process. "Great System and You Make It Your Own"
The customization, the people, the UI experience and overall, the functionality is extremely great. This is a system that you need to take time to develop, but once you work on it, then it gets better and better with time. The implementation also helped with a lot of development. Finally, for small companies, you can't beat the price. The biggest challenge was that I had to build and create everything. In addition, the implementation kick off was a bit slow at first. The nice thing about Salesforce or HubSpot is that they've done it so many times that there is a template for it, but at the end of the day, why do you want to be like everyone else? Understand that you'll put a lot of work in up front. This is a customizable system and the cost is great, but you will be setting a lot of it up. Also get the implementation team on a schedule. For example - Schedule weekly 2 hour time blocks for 4 weeks straight. The customization and flexibility to not only plan ahead but create a system that is easy to use. ""Freshsales is ideal for following clients""
We like especially the errand framework (undertakings) of freshsales, since it enables us to sort out our advancement effectively. We like the stage's capacity to coordinate into messages, and visits with clients, because of its incorporated CRM. Something we additionally like about freshsales is that it has a wide ability to make telephone calls without hosting to get to third-gathering programming. We don't care for that the quantity of colleagues for each undertaking is so low. That makes it somewhat confused to monitor who partakes or not in each phase of the venture. We imagine that it is very constraining with the openness licenses to the data, and the importation of records sets aside a long effort to process each record. Our business group is exceptionally happy with the utilization of freshsales. It is very suggested for cell phones, particularly with its incredible access from Android. We very prescribe the utilization of freshsales to deal with reactions to clients by means of email, and to record calls with great quality. Completely prescribed to deal with leads. With freshsales we have accomplished numerous points of interest when speaking with our clients, since it has numerous channels through which we can get in touch with them. Before we had enough issues to influence visual to subsequent meet-ups to our business forms. This was basically because of the way that the CRMs we utilized did not have great combinations for deals the board. "Great CRM for small - medium businesses"
Simple, easy to use CRM tool for small to medium businesses. I love being able to mass update in an Excel sheet by upload. Way easier and less complicated than SalesForce. Bulk task assignment and bulk emails are great. We are exploring the tie-in to MailChimp next. The Help team is responsive and friendly. They always take our suggestions into consideration, and often will build enhancements based on what we've told them. The reports need more customization. I would like to be able to choose any data fields for rows and columns. The lead scoring doesn't quite work the way it should. Not sure how to make it better, but we don't rely on it like I was hoping we would. Give this CRM a shot. I use it for 2 small companies and really like it. The main value is that FreshSales adds value to my sales team, without getting in the way of doing their job. Keeping track of leads, contacts, and deals so they don't slip through the cracks. This has really streamlined our sales process and efficiency. As the sales operations director, I less from my salespeople now than I did before Freshsales. Before Freshsales, we were running a fairly loose sales process. It’s helped develop and fine-tune our sales process tremendously. We’re able to work faster, and achieve more volume in our sales activities than we were without it. Things do not slip through the cracks while using Freshsales. "We are care about sales." Allows me and my team to send a lot of emails drafted on the personalized pattern, timetable those and sync them with my calendars, and concern them automatically to our contact records to export all pertinent info. I like it. I don't meet any problems with this working tools. All my team is fine with it and it is good to know that we can work more productive. The software is really wonderful. You will have the much better system of sales track. The very good platform will help you to see how many trades are in every step, sort, and filter by their prospective close term. The great addition to increase your performance in business. We like that a system with notifiers that make sure we will never lose an appointed task, among which the brand new notes and comments. Also, we can make it possible to create custom reports for each contact, or opportunity. ""Freshsales will improve your business insight""
The freshsales task execution framework is amazing, simple to oversee. We like that it permits to make phone calls without going to outer administrations. Freshsales permits adding colleagues to the rundown of errands, with the goal that the work is progressively liquid. A point that we like a ton about freshsales is that it permits adding partners to the assignment records, which makes the executives increasingly liquid. It is very insufficient regarding bringing in records and contact databases from exceed expectations. It doesn't enable us to appropriately follow the status of every business, and your android application is very moderate, particularly with regards to synchronize. As to consents that the overseer can concede to the colleagues, these are somewhat restricting with the substance customization. We exceptionally prescribe utilizing freshsales for their great and fluctuated correspondence channels, which condense the conventional communications (email, talk and telephone calls) in a solitary stage. It is superb for succinct administration of potential clients, and for getting a decent import of client accounts. We had a great deal of issues searching for an administration that offered a quality CRM, which would enable us to effectively manage the business compel. On account of freshsales we can more readily characterize our potential clients, and we can convey all the more effectively with our clients. On account of freshsales we can all the more likely characterize our potential clients, and know which ones are best for us. "Control your sales pipeline effectively and easy." Lets me concentrate on my sales leads. The ability to save time and resources by automatically assigning leads. I can easily to timetable tasks and appointments and get email alerts. I guess it is powerful and helpful tools which make your business work right. Nothing says bad about this platform I can't. As I know that we can easily work with all tools which are given to us that software. I'm glad that till now I don't have any bad issue with this solution. With this software, you can track the productivity from your sales. You will have a good way to make and save your crafted personalized emails and send them faster. Great that you will see how many deals are in every step, sort and filter by their supposed close date. Perfect addition to grow your company. Helps to us to see a full situation of our - deals, customer information and performance. Nice point that we don't need to give a learning process to our new sales managers as this software is really simple in use. The ease of use and simple navigation stand out the most. Not to date myself, but I was an early Telemagic user back in the dos days... a goldmine reseller and an MS Dynamics user, as well as SalseForce. At FreshSales, what is unique is how you pull yourself through a record and process with their unique slider technology that draws you to the next field. If you don't need all the bells and whistles of SalesForce and want something robust for the price, Freshsales is the way to go. Their service and support is responsive and second to none. Sometimes there is a delay to move to the next field. This is because of the speed of the internet. I would also like to see better navigation when jumping between tasks. Simple campaigns, easy customization, quick search and a friendly, simple interface. "One of the best CRM out there"
It's user-friendly. The visuals are outstanding, and the configuration is fast and easy. We recommend our clients to use Freshsales. Our leads are imported to this CRM, it's a great way to explore the usage statistics of our prospects (logs in, email attachments, last imports, and if they have been contacted technical support). All of this is talking about the trails. We can see if they have used the trials or not. In that way, we can conclude if they are interested in this platform or not without even asking them. I wish that it can be faster, sometimes is a bit slow. Also, our clients always ask for a native integration with Facebook and social networks in general. And one more thing, the comments section is a bit small and you can't customize the font. These minor details can be fixed quite fast within the next update. It's one of the best CRM out there. I recommend all to try it for yourself. You can enter the website and start a free trial for a month. The configuration is not rocket science. With little support, you can start right away to explore this platform. We can analyze the usage of the trials by our prospects and generate strategies by the time we contact them by phone call the next opportunity that arrives. It's a vital feature to know the overall activity that they spend during this period of time. Freshsales can hook up to your phone and email and you can log every interaction with your customers and easily go back and access them. You can also save picture to customer files. It has made keeping up and progressing the customer relationship easier than it has ever been. I have not found anything that I have not loved about this CRM. Just check it out! It's really hard not to like. It takes a bit to learn all of the different features but once you learn them, you will never go back to another CRM. Freshsales is the best and it is only getting better. On top of an extremely user friendly interface, Freshsales lets you connect with your calendar to set appointments and tasks for you to work on. You can also set it to send a friendly reminder to the person you are meeting with. * We monitor all Freshsales reviews to prevent fraudulent reviews and keep review quality high. We do not post reviews by company employees or direct competitors. Validated reviews require the user to submit a screenshot of the product containing their user ID, in order to verify a user is an actual user of the product. Hi there! Are you looking to implement a solution like Freshsales?